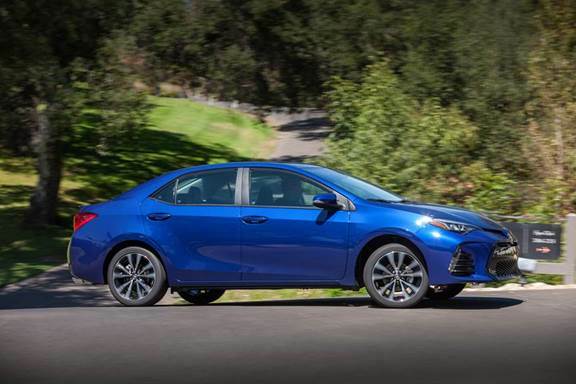 The 2019 Toyota Corolla CE is offered with a choice of manual transmission (Starting MSRP: $16,790) or CVTi-S (Starting MSRP: $18,390). This model features a 6.1” touchscreen Display Audio system, fabric seats, an ECO Indicator, 15” steel wheels, intermittent wipers, LED Daytime Running Lights, and more. The CVT-equipped model is also standard equipped with Air Conditioning.